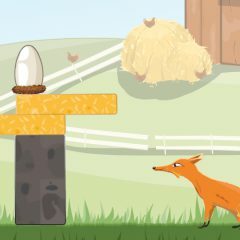 A red furry fox is eager to steal some eggs but he can not do it without your help! Remove blocks under the egg! Be careful, do not let the egg fall down on the ground, a broken egg will have no value!